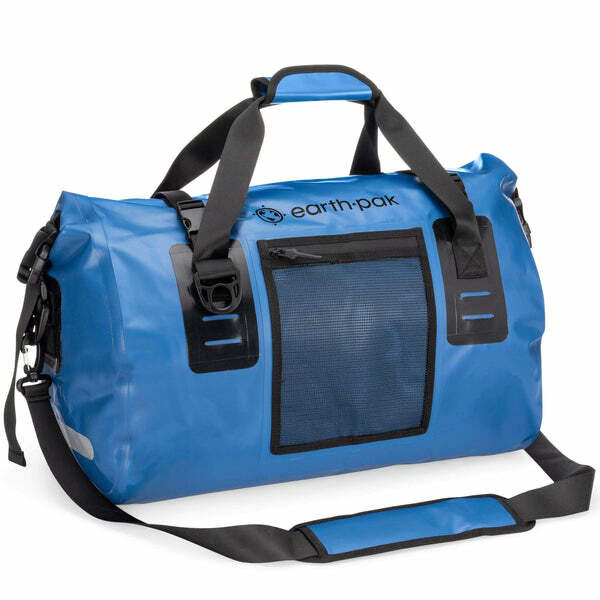 Our waterproof duffel is essential to any long expedition, day float down the river, or short weekend getaway. Designed to withstand all elements to provide the best protection for all of your belongings. Built solid for ultimate performance and durability. Available in two sizes, the 50L for the ones who pack lightly and 70L for the ones who need the extra space. Compact and lightweight making it very easy to store and take just about anywhere. Superior Quality: Constructed from commercial-grade 500D PVC for high performance and durability. Our products are meant to last for a lifetime, all seams are thermo welded shut to provide waterproof protection for even the most rugged users. Ideal weekender bag for all your kayaking, boating, rafting, and camping adventures. Perfect Size: Features a large main compartment with a roll-top closure and single reinforced strip- protecting your valuables from all elements. 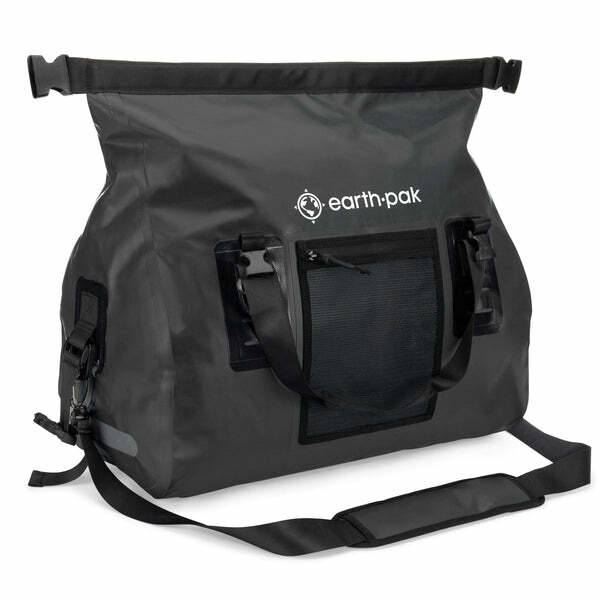 Both sizes are also equipped with two interior mesh pockets for your personal items you need to grab quickly on the go. Soft sided and completely collapsible to make storage easy. Well Designed: One external mesh pocket with nylon coiled zipper, providing a separate slot for easy access to smaller items. Sturdy buckle straps situated in the front, back, and sides of the duffel to ensure your items stay in place and dry. The side panels are complete with reflectors as an added extra for better visibility. Easy To Use: Equipped with an adjustable, removable cushioned shoulder strap and padded double handles for easy carry. 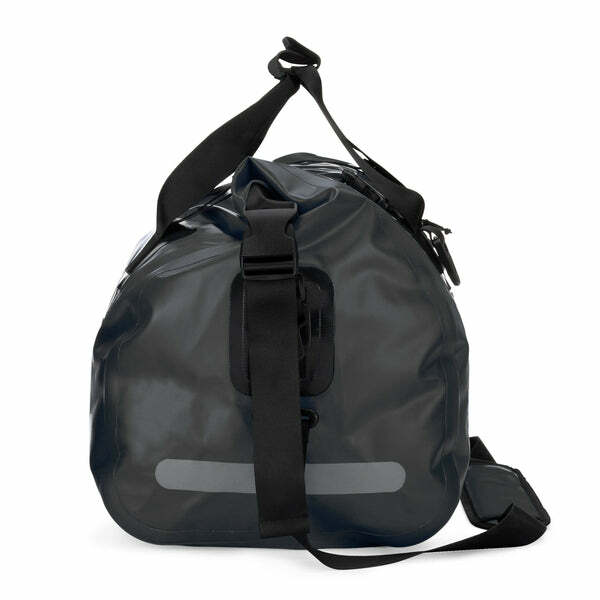 Reinforced with 1000D PVC MOLLE system looping on both the front and back of the duffel bag, providing anchor points to latch onto while boating, kayaking, or sailing. In addition, 4 attached D-rings for quick fastening.